A ‘lower priced offering’ would be in line with past reports by the Wall Street Journal and New York Times that have mentioned a cheaper iPhone/iPhone Mini. Many possibilities and questions remain, including whether or not a low cost iPhone offering will be announced alongside an all new iPhone 5, or if a cheaper model is going to just be the current iPhone 4 sold at reduced prices, which some rumors seem to suggest. The comment about the prepaid market is also interesting. Currently, the iPhone 3G and iPhone 3GS can be converted to a prepaid phone rather easily just by inserting an AT&T pay-as-you-go sim card to make phone calls, and enabling data is just slightly more difficult. Offering an iPhone that is specifically intended for the pay-go market would be a bold move away from their current contract offerings. 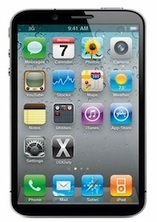 The iPhone 5 is expected to be released in June at WWDC 2011.
iPhone 5 & iPhone 4S Coming in September? iPhone 4S Due in September with T-Mobile, Sprint, and China Mobile Support? iPhone 5 to have A5 CPU, 8MP camera, same design, release date set for September? Make the iPhone 4 hardier and cheaper by ditching the glass backing, sell it at $199 without contract and unlocked or $0.99 with contract. iPhone 5 becomes the premium phone, same $199 and $299 price points with contracts. Maybe the iPhone line will go to an iPhone & iPhone Pro distinction, like MacBook & MacBook Pro? To me the article suggests prepaid cheap iPhones in foreign markets, like China and India, not US and EU. For some the iPhone’s price isn’t the problem but the extra cost for the service contract ($360/year extra for verizon) is the deal killer. Perhaps a data only voip version to get around having to have a talk plan? Go data only? Something like that might work.